…with a kaleidoscope of K’s. Today is the last day of my summer vacation. I return to school for a week of preparation for the coming school year. This is what I will look like in the mirror tomorrow morning. When the school year ended in June, I was in a state of sadness because of my sister’s untimely death. My class last school year was probably one of the most delightful groups I ever had as a group. They were supporters of each other, cheerleaders for every effort, looked out for each other when others were less merciful with words and actions, and above all, kind. As I tried to keep a stiff upper lip about my sister’s passing, they turned their support toward me. One morning while driving to school on those last days, I heard a song performed by Tim McGraw. It was and still is a message for them and everyone else. Listen to the song by clicking on this…. 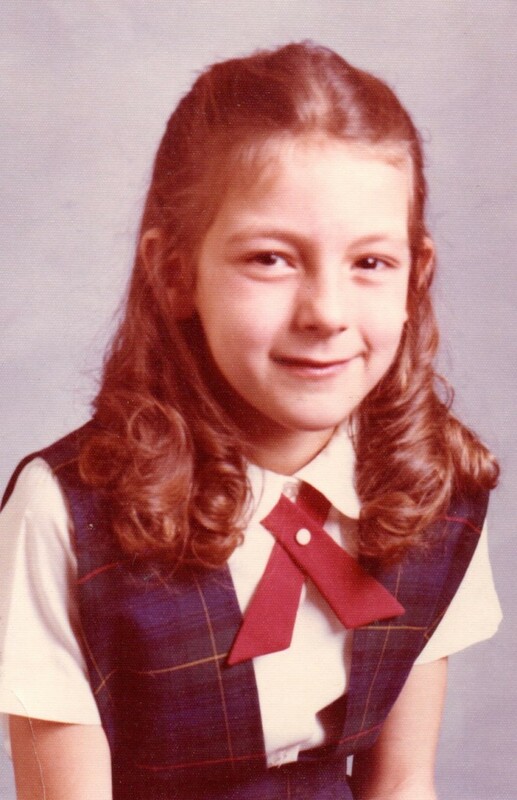 High school kilt …all the rage! I still like some plaid, but kilts are not on my radar. I happened upon an adorable video that I tried & tried & tried to embed in this post, but alas I could not. Here is the link and you don’t need to be a member of Facebook in order to view. 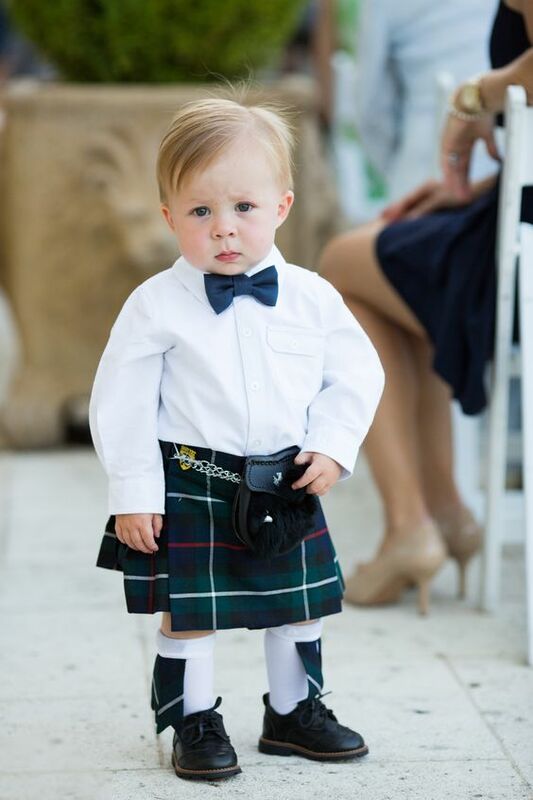 This kilt baby from Pinterest is cute, but this one cracks me up! On my last days of freedom, (rather than clean the house) I have been spending some time doing something I have a bit of a knack for…sewing. Several years ago I read the book Maine, by J. Courtney Sullivan…a really good read. There is a character, Anne Marie…her nest becomes empty so she takes to collecting doll house miniatures. I am fearful that I have become a kindred spirit to Anna Marie’s character for this is what I have been sewing (and getting really excited about) for a couple of lucky daughters of colleagues. Hey, it keeps me out of the bars and a key to mental health! Well that’s it for Tuesday…kudos to all the Olympians, the USA is killin’ it! This entry was posted in At Home, Screening Now, Sewing, Uncategorized and tagged kilts, sewing. Cannot believe that it’s already time for you to go back….waaaaaaa! 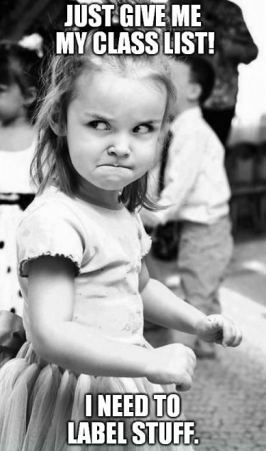 But seriously, when I was teaching, no matter what had happened the yr before..IE: having the worst classes EVER…..after those 2 months off, I was always actually excited to be back. With high expectations, that the new yr would be the BEST! Hope this will be YOUR best yr yet with awesome classes and a great faculty!! Going in with fingers and toes crossed. Wow, a new school year already! I hope you had a summer of healing and rest. The death of a family member is certainly stressful, but you seem to have handled it so well. I adore those doll dresses! My grandmother gave me a doll and would sew little outfits for her. Such fun memories! Hope you have a great year full of joyful, laughing, learning students! 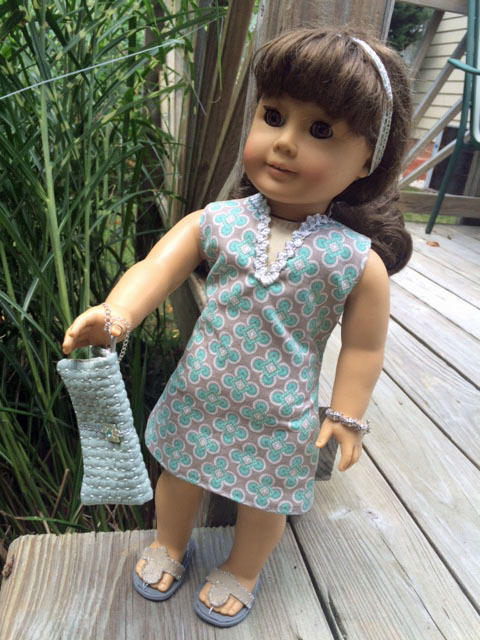 Summer was fantastic even with the loss of my sister…my mother also sewed outfits for my dolls so it’s in the genes. 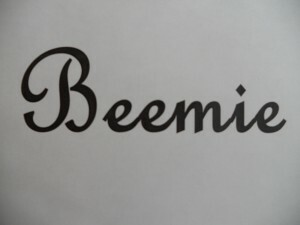 Beemie… you do more in your limited spare time than I do all day. 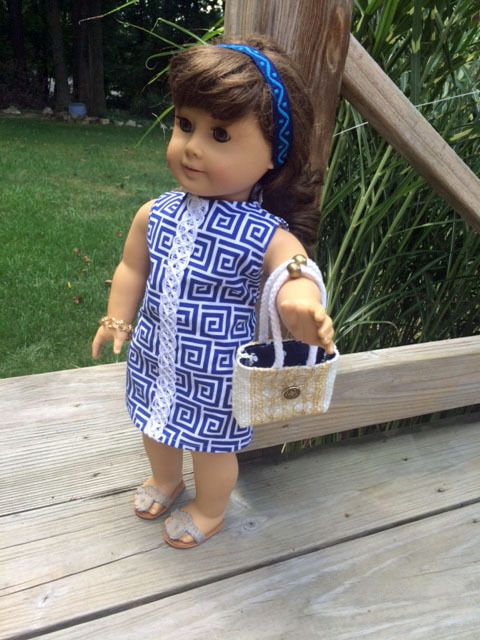 Love the American Girl’s outfits. You should go into business. Good luck at school. Hope you even have a BETTER class of angels this year!! Remember the movie with Hayley Mills, The Trouble with Angels…at the very least, I am hoping for that. Wishing you well on your going back to school! I love that Tim McGraw song too! Thanks for the well wishes…the song gets me a bit teary-eyed, but love it! Kilt baby is precious. I sooo wish my daughter wore a uniform to school. It really would make life so much easier. I hope you have a fantastic week back, and I hope you are blessed with the kindest group of kids this year. The Trouble With Angels! YES! One of my favourite movies of all time. Loved it. So you do know you have a real talent, right? I look at a sewing machine and it breaks. I break out in a Kold sweat whenever I have to walk into a fabric store. Kannot tell you how happy I am that my daughter is able to sew and loves it. Loves it. May you be blessed with an equally as wonderful Klass this year, Beemie. Got all my crossibles crossed for you. Love your K’s…if you mean talent for sewing, then I suppose I have a smidge of talent. The talent does not transfer to adult size clothing, Ugh! That song is fantastic. 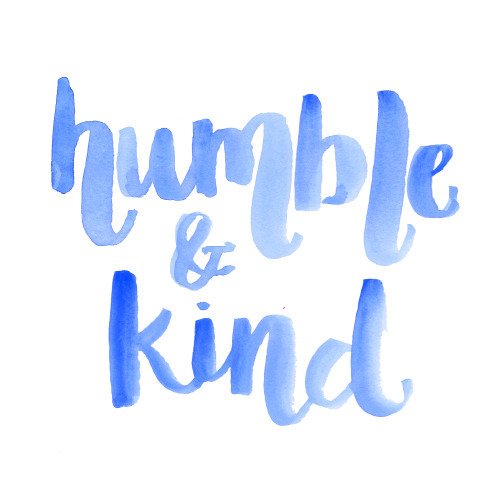 Kind and humble – great traits to aspire to. Good luck in your new school year. And I’m with Katie, I don’t know how you accomplish everything you do!! found your blog through empty nester. would love to follow but there is no where to do that?? I used to have a way to follow, but it kept creating pop-ups on the reader’s screen. I do not want to be annoying to my readers so I decided to wait until their is some update that allows you to follow without a pop-up. Thanks for finding me and reaching out.